We have a complicated relationship with the posters for Spider-Man: Homecoming. Some of them have been pretty cool, while others have been a little bit of a disaster. Finally, though, we have one that we can all agree on, unambiguously, 100% without a doubt: this is awesome. The poster comes courtesy of the official Japanese Twitter account for the film. Homecoming is due out in the country on August 11th, and this commissioned poster by Yusuke Murata celebrates the premiere in style. 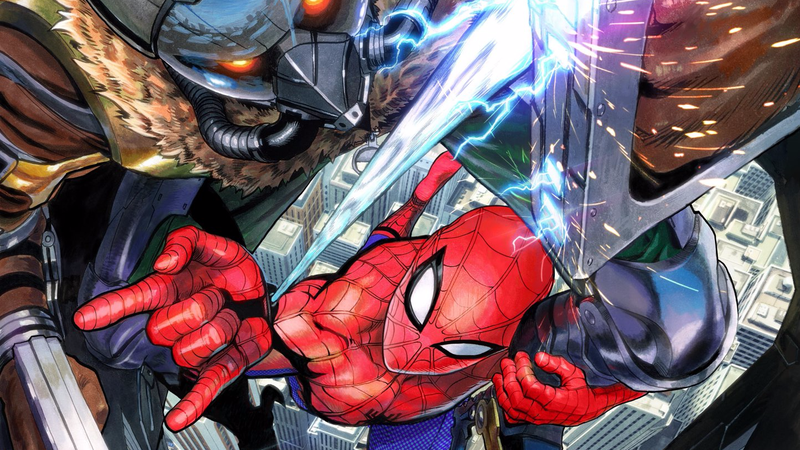 It’s not shocking that such a great Spider-Man take would come out of Japan, either. The country has a long love affair with the hero, culminating perhaps in the delightfully goofy tokusatsu TV show in the ‘70s. Tragically, there doesn’t seem to be any way that we can find to buy this poster, at least for now. Which is a shame. I mean, just look at it. But there’s always One-Punch Man, if you’re interested in Murata’s take on a more Eastern brand of superhero.